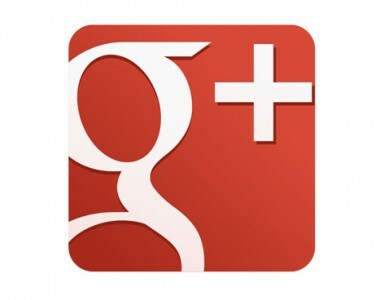 “I’ve seen far more examples of propaganda and unfair marketing practices than I have of reasoned arguments. Worst of all, this kind of marketing targets kids, teenagers, and college students. 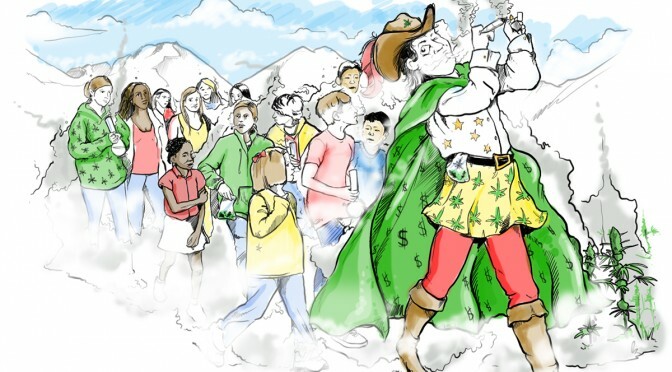 If we want to make progress in substance use issues, we will need facts and reason, not ploys to grab the attention of our nation’s youth.” Wharton School of Business student research analyst Theodore Caputi, recently wrote in an article, Is Pro-Marijuana Pro-Propaganda? He’d like to hear more true debate without hype. How did the push for marijuana legalization come about so rapidly? The answer lies in a social media campaign by a rich pro-marijuana lobby aimed at changing opinion. 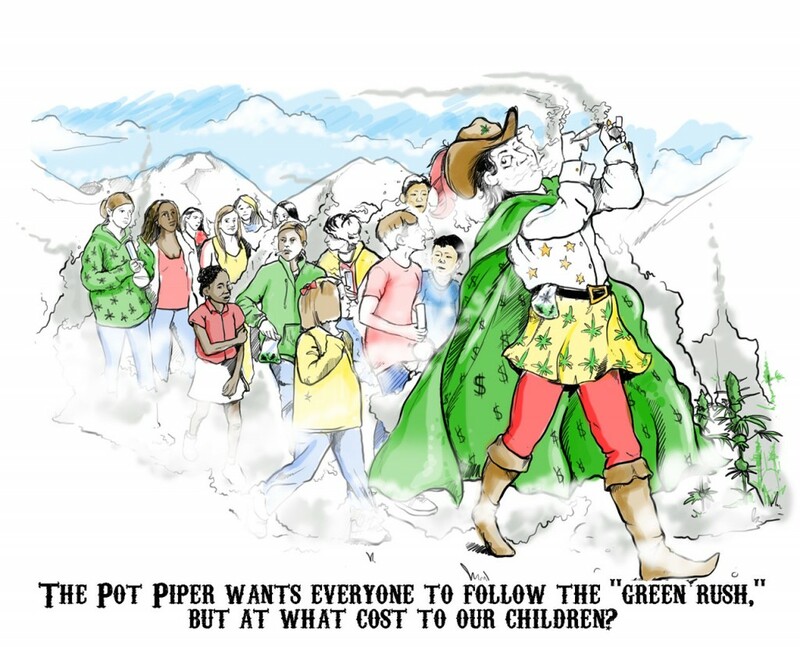 The Pied Piper has become the Pot Piper. Young people use social media much more than middle-aged adults and senior citizens. The largest pro-marijuana Twitter site sends out an average of 11 pro-marijuana messages per day, according to a study by Washington University psychiatry professor, Patricia Cavazo-Rehg. Cavazo-Rehg also found that the tweeters targeted Black and Hispanic youth disproportionately, much more frequently than Caucasians. While Twitter and Facebook have been growing so much over the last decade, the federal government’s funding for substance abuse education and prevention programs has been reduced by 48% during the same time period. It doesn’t help that a national merchant, Urban Outfitters, has continuously made clothing to glorify marijuana, pill abuse, drinking and now depression. Surveys of teens indicate they would use more frequently, if marijuana is legalized. Marijuana lobbyists say they do not advocate for usage under age 21. 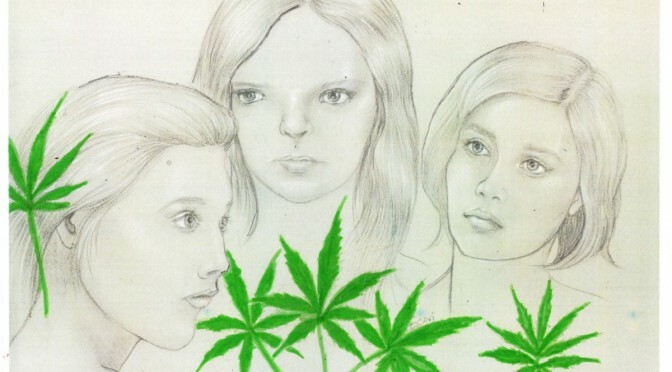 There’s never been a marijuana legalization initiative that would allow users under age 21. Yet, while NORML and the Marijuana Policy Project “officially” declare it’s not for children, they’ve targeted the youth who wouldn’t be allowed usage under their laws. Studies show that children and teens have gained the false perception that pot is harmless; this change of perception began in 2005 and grew stronger after 2009, corresponding to the growth in social media over that time. 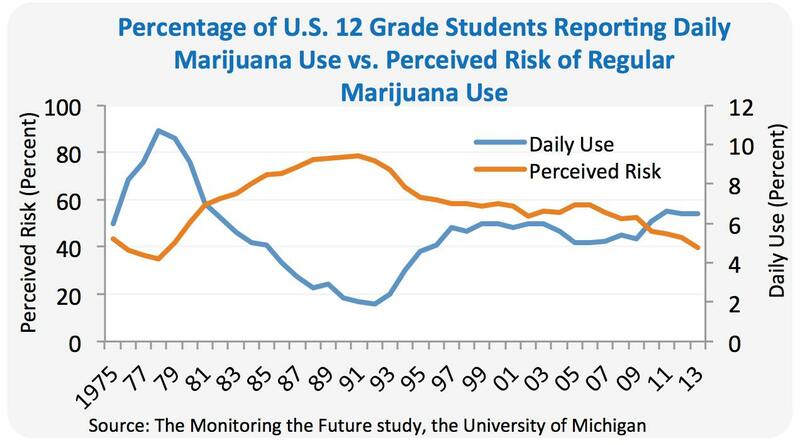 As the perceived risk in marijuana goes down, teen usage goes up, according to recently-published findings from 2013. Only Adderall, an ADHD medication, is also trending upward, and it’s being used by those without a prescription. Cigarette smoking is going down, as is adult smoking, and alcohol use is declining among teens. Marijuana usage by children and teens has steadily grown along with the push to legalize marijuana and/or expand medical marijuana into more states. College students use more than ever, probably reflecting this trend, also. According to the 2013 Monitoring the Future Survey findings, five-year trends show a significant increase in current marijuana use among 8th, 10th and 12th graders. For example, from 2008 to 2013, reported past-month use increased from 5.8% to 7.0% among 8th graders, from 13.8% to 18.0% among 10th graders, and from 19.4 % to 22.7% among 12th graders surveyed. Alarmingly, the survey noted that this trend coincides with a decrease in the perceived risk of harm of marijuana use among the same group of students. The annual Monitoring the Future study surveys 6th, 8th 10th and 12th grade students for daily marijuana use, past month use and lifetime use. Of the top 23 states for teen marijuana usage, 21 of them were in states that had legalized medical marijuana. How ironic legalization advocates would use ideas like building schools or funding early childhood education by legalizing and taxing a bad habit and dangerous substance like marijuana. As Washington and Colorado are learning, their states suddenly need to spend money to offset a new problem set of problems. Taxpayers have to pay for the unnecessary hash oil explosions that have gotten out of hand this year. Colorado found it necessary to fund public service announcements to warn against stoned driving and against marijuana usage by those under age 21. The state has decided to spend $2 million on the “Don’t be a Lab Rat” campaign. Legalizing marijuana to collect taxes and fund drug prevention is the way to create a problem — or make a problem worse — in order to solve the problem. Taxes collected from Washington’s legalization program are supposed to go fund drug prevention programs. Already taxes in Colorado run far behind what was expected. States that have had recent problems with pill addiction, cocaine and heroin, had greater percentages of marijuana usage in youth, in 2010-2011. They tend to have higher alcohol usage, too. When asked, Barbara Cimiglio, deputy commissioner for substance abuse in Vermont’s health department linked the heroin epidemic in Vermont to higher youth usage of marijuana. 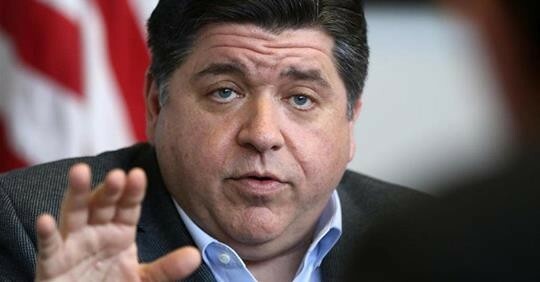 “I think what drives this up tends to be the higher use of marijuana, and if you look at the states [with high illicit drug use], they tend to be the states that have decriminalized or have more favorable attitudes toward use of marijuana,” she said. 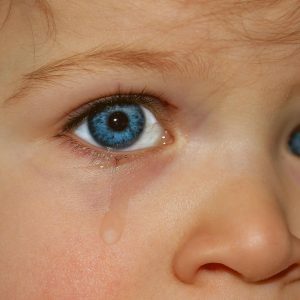 Marijuana use in the young often creates a-motivational syndrome and apathy, in addition to and apart from the affects of addiction. It becomes more challenging for many students to keep their educational options open, get jobs and achieve their goals. 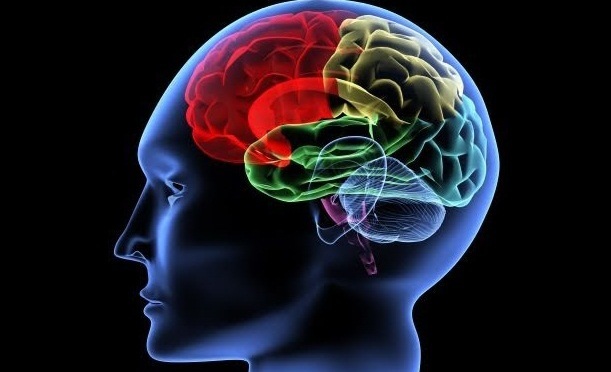 Researchers at Northwestern University recently published their studies indicating the changes on specific parts of the brain, and the National Institute of Drug Abuse (NIDA) has written about some of those findings. Education Secretary Arne Duncan and Health and Human Services Secretary Sylvia Burwell should speak out against the growing usage of marijuana at younger ages. The current spike in middle school and high school students using marijuana means that the time is now!